We recommend that you add 6 inches (15cm) to the width of your runner to give you the ideal rod size. 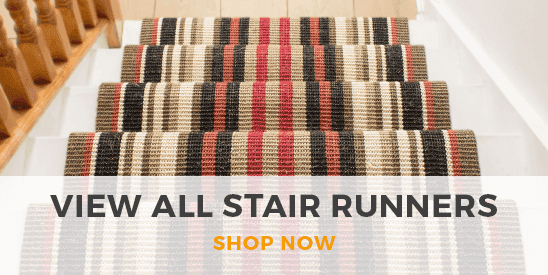 For example a 80cm (2ft 7 in) stair rod would be suitable for up to 65cm stair runner. 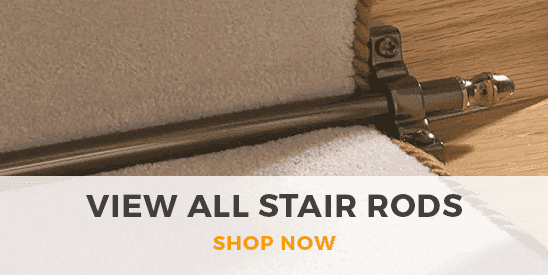 The Eastern Promise stair rod range is an attractive alternative to the expensive solid rods. Although hollow, these stair rods are made from quality hollow brass 5/8"" (16mm) thick which makes them unbelievably strong and durable. These rods are versatile and stylish for a range of applications from adding statement to the home, to a sophisticated finish for a grand hotel. The rods have an invisible lacquered finish which means that they constantly look pristine, they only need wiping with a cloth and no polish. These hollow rods are made to order, so please select the most accurate length you require.